5. 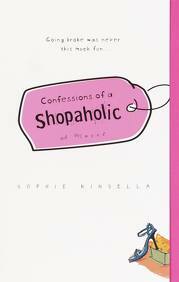 Confessions of a Shopaholic by Sophie Kinsella – Chick lit at its best. Becky Bloomwood is so annoying, you have to love her. 4. 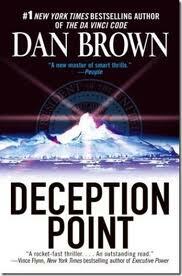 Deception Point by Dan Brown – Highly underrated book. Yes, Dan Brown did write books before The DaVinci Codes. 3. 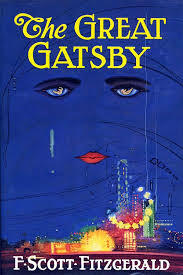 The Great Gatsby by F. Scott Fitzgerald – It was the most amazingly descriptive book. I am sorry it took me so long to read it. 2. 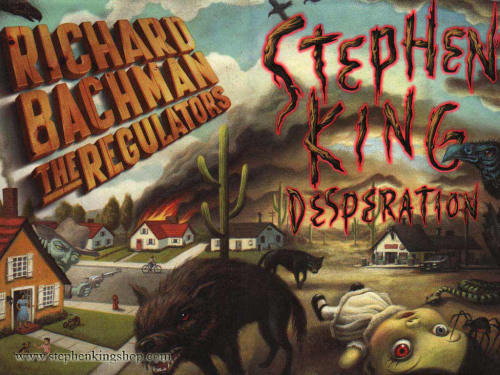 The Regulators and Desperation by Stephen King (tied) – If you’ve read these two books and loved them, you are a true Stephen King fan. The Regulators realism is disturbing even for King and Desperation’s religious undertones made me uncomfortable. I loved them both equally. 1. 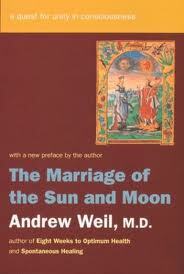 The Marriage of the Sun and the Moon by Andrew Weil – I read this book in college for my Drug, Alcohol and Crime class. It’s all about what people do in order to heighten their consciousness. Thank about how you feel, mentally, physically, and spiritual, after a good writing session. Hell, sometimes even a bad session gives me a high. Plus, this book inspired my first tattoo. What’s in your top five book list? Interesting list. Thanks for sharing “The Marriage of the Sun and the Moon” that sounds like that could help me with some of my book research. What did you think of the recent Gatsby movie? I’m ashamed to say that I’ve never heard of your number one pick! I have heard that deception point was a great book though. I have not read “Deception Point” – will have to add it to my ‘to-read’ list! You have quite the spread here. I have Deception Point sitting on my bookshelf, but haven’t read it yet (library book sales are great but they don’t help my TBR list). I’d have to think on that favorite book list. Haven’t read any of the ones on your list. I should at least read “Gatsby”. Lee, you have to read Gatsby. It is so good. I haven’t read Gatsby either. My daughter has a copy, I’ll have to snag it! Highly recommend it. Great example of tension building in books. Interesting very diversified set of book. I never finished to read the Great Gatsby, I might give it another try.